J.Patrick Monkey is a simian wonder! 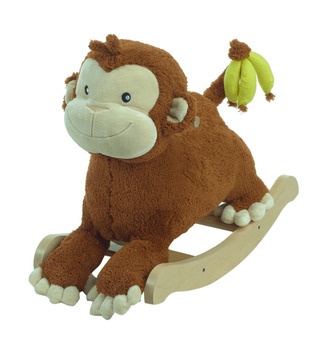 He's a clever monkey who carries his beloved bananas in his prehensile tail. J. Patrick has 4 buttons located on the back of his head. When pushed, the buttons activate original songs that teach ABC�s, 123's, colors, shapes, and more.